You have probably tried some Asian dishes before, but have you ever tried an Asian dessert? There are some amazing sweets that originate from the region of Asian. Some of these desserts are served at yum cha, while others are harder to find. Either way, all of these sweets are delicious and unique! 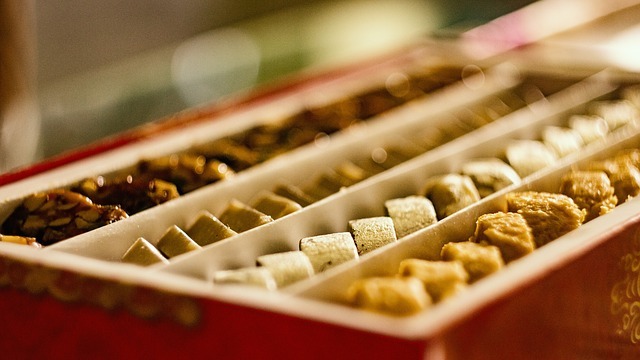 Expand your palate and try a different kind of dessert with these great Chinese treats! From baked goods to cold sweets, these dishes are a great way to try new things! A spin off traditional fruit tarts, the egg tarts is a popular dessert often served at yum cha restaurants. With an egg custard filling, the unique taste of this tart makes it one of the most popular Chinese desserts. You can also find this dessert at Chinese bakeries. The sweet, custardy filling coupled with the crispy crust is delicious and no doubt why it is so well-known! Shaved ice is a base for many different Asian desserts across many individual cuisines! The texture of shaved ice is great, and its versatility is unrivalled as it can be topped with many different flavours, jellies, and fruits! A great Taiwanese version of the shaved ice dessert involves a sweet sauce, combined with red bean, grass jelly, and taro balls. This dish has many textures and is great refreshment for a hot day! One of the most unique Chinese desserts, tofu pudding (or dou hua) is a very soft, silky type of tofu served with a sweet sauce. This dessert is often served warm, which is what makes it so unique! The soft texture of the tofu with the sweet soup is a great combination for your tastebuds. Sesame balls, or jian dui, are made of glutinous rice flour. Sesame seeds coat the exterior of this fried Chinese pastry, which has a variety of fillings such as black bean, red bean paste, or lotus seed. The texture of the crisp outside combined with a sweet, warm filling makes this pastry a crowd favourite. You’ll often find it at Chinese bakeries or yum cha restaurants! Here’s another dessert you’ve no doubt found at a yum cha restaurant. The mango pudding is sweet and tastes distinctly of its namesake fruit. It’s a great, light dessert to have after eating dim sum. Another variation of it is the mango pancake, which combines the sweet pudding with whipped cream inside a mango-flavoured crepe!